Support your local police - beat yourself up! 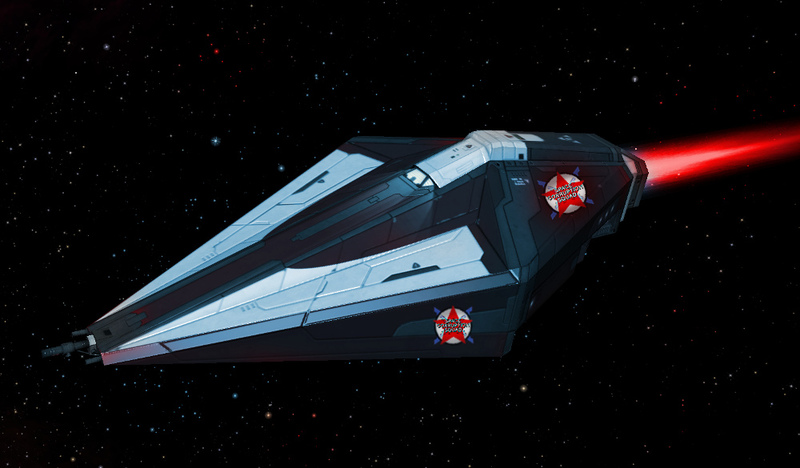 It's a shame the old Viper Interceptor is missing from the core ships. True, right now scaling the viper model is my only way to get the difference from the past. Just a thought of mine, while there is no other solution available why not just scale the Viper Interceptor in a future (next ?) release of the core game so that the proportions fit the original ratio between Viper and Viper Interceptor ? Later was larger than the Viper, not sure for how many percent. Finally I had the time to include this idea in my WIP, inspired by Norby's GalCop Sheriffs this ships serve now as deputies in less stable systems (anarchy to multi-government), I just need to find a decent graphic program again to change the textures. Will it change the environment for the player ? Yes and No. Since oolite populate is used there will be not be more police ships spawned but since this ships are (very) tough they will neutralize more pirate ships in shorter time.